NEW VIDEO! 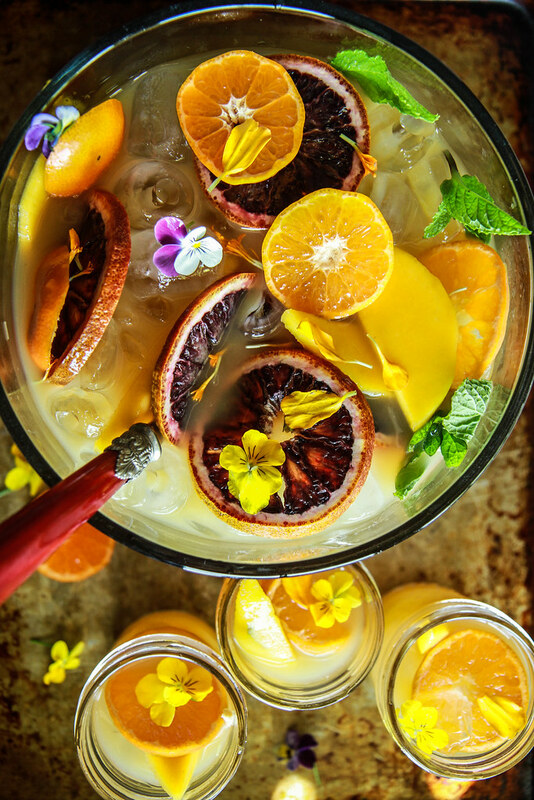 You are going to love this stunning punch, perfect for so many occasions. Happy Thirsty Thursday!! Lets Talk. 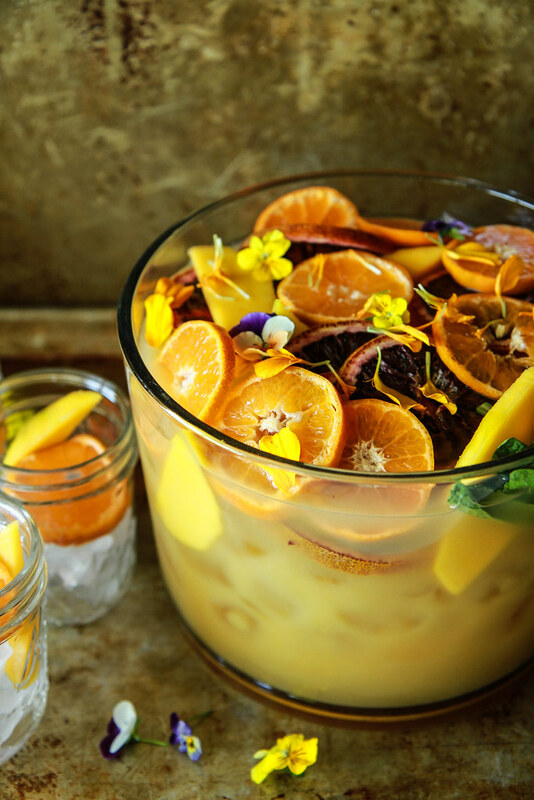 Easter is just a few months away and stressed out people everywhere deserve things like boozy punch. What do you think? 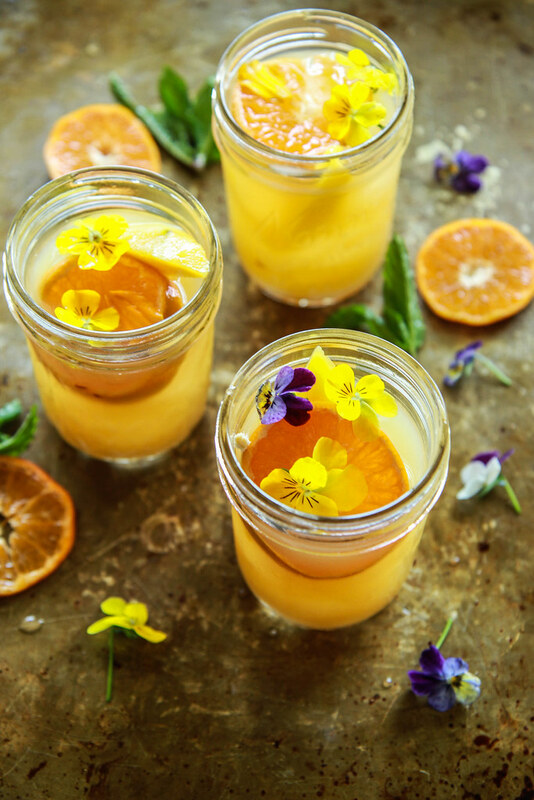 Orange, mango, rum, fresh lime and mint are the most wonderful combination and this punch would work for brunch, a shower, or for a cocktail hour before dinner or party! Punch is my favorite way to entertain anyone because it is so low-maintenance. You can put it all together and then just let everyone help themselves. In a small saucepan, combine the mango chunks, sugar and water over medium heat. Simmer until the sugar has dissolved, about 3 minutes and then transfer to the jar of a blender. Puree on high until smooth. Fill a punch bowl with ice cubes (I used a trifle bowl) and add the mango sauce, rum and lime juice. Mix well and then stir in the orange juice. Add the orange slices and a generous amount of fresh mint and stir everything together until well combined. Serve Cold! Brunch has never looked so good!! Looks very easy and delicious, thank you! Cheers to this STUNNING drink!